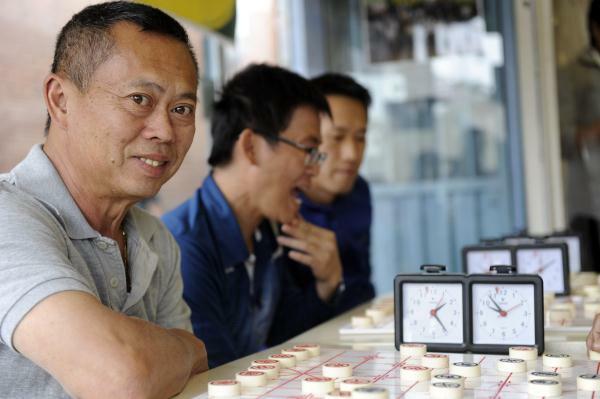 A SPRINGVALE Chinese chess group brings together lovers of the game and tackles problem gambling. Councillor Sean O’Reilly said Xiangqi players from around Australia attended the recent Australian Friendship Chess Association annual tournament in Springvale South. Master Ngoc Thach Nguyen was the tournament’s champion. Pham Nguyen Bao was runner-up, Master Yan Cai finished in third place and Khanh Nguyen was fourth. Cr O’Reilly said the non-profit organisation helped the community on a number of fronts. Players socialise post-game and the strategy involved assists with mental strength. “One reason it was set up was to attract people who might become afflicted with problem gambling,” he said. Xiangqi, or Chinese chess, is a strategy board game for two players in the same family as traditional chess. Australia Friendship Chess Association is at 575a Springvale Road, Springvale South, and welcomes new players. Visit www.australiafriendshipchess.org for more information.